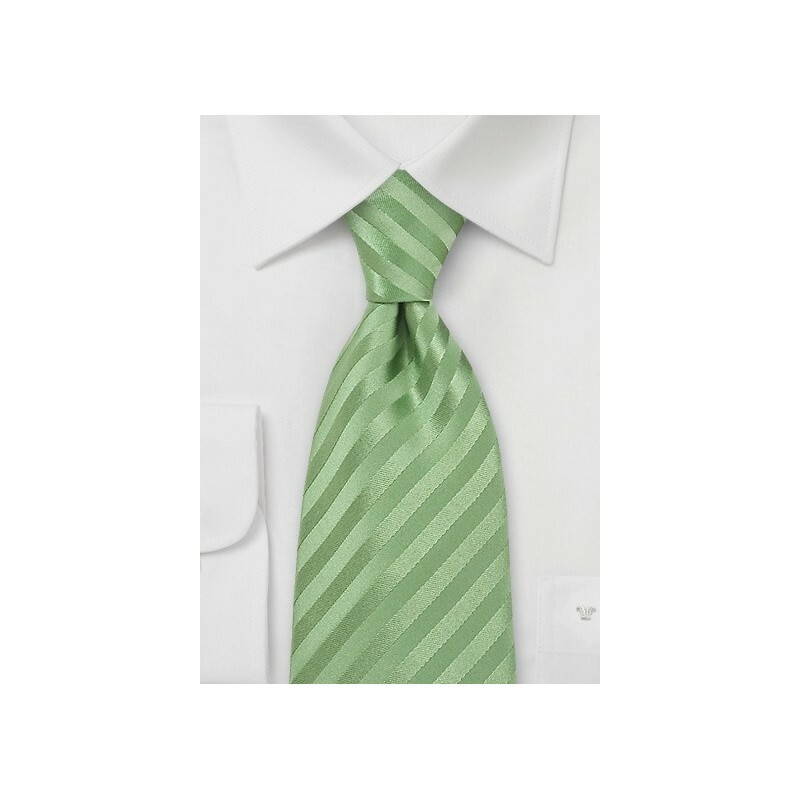 This light "tea-green" silk tie by Parsley is made in longer length of 62 inches. It is perfect for tall men, men with a large neck, or for those who prefer a larger looking tie knot. This tie is also available in normal length. This trendy silk tie by Parsley looks best when combined with a navy-blue or gray suit and classic white dress shirt. 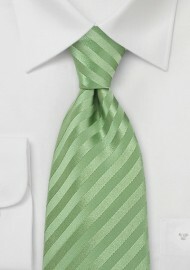 The fresh green color of this tie perfectly complements the spring and summer season. Handmade from pure silk in XL length.